In my previous blog post I introduced the pros and cons of DO.com. 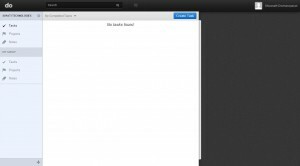 Go ahead and read it, and come back to this blog where I explore how to use DO.com via a sample project. Lets walkthrough a basic project / task management and try to use our imagination as to see what we can use this platform for. - There are two ways of signing up, you can sign up with your personal ID or use your Google Apps ID if you have one. 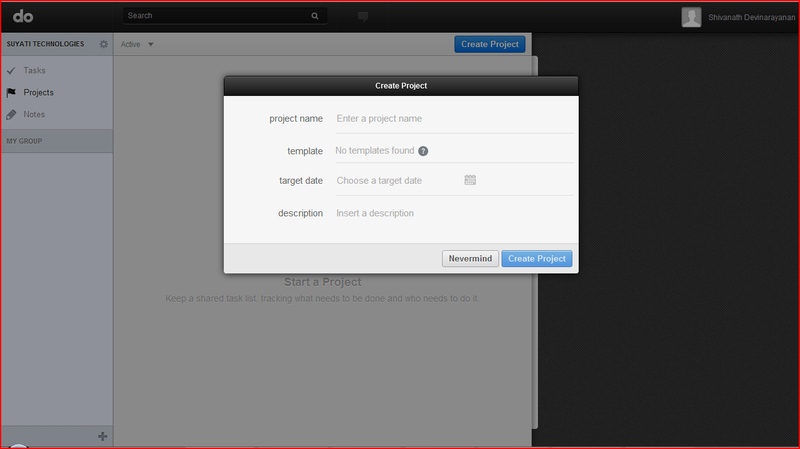 · Projects – This is the wrapper for all your tasks; projects are meant to reduce clutter and organize tasks logically. When you share a project among your team they can access all the tasks within the project. · Notes – this is like a sandbox of notes and ideas each person wants to track, and can evolve into a task or attached to a task. 1) Tasks shows a list of tasks for current project, you can create new tasks, Subscribe to the list on your calendar, or create a new section to organize the tasks for logical separation. · Tasks can be recurring and can be assigned to multiple people. · Once assigned the member gets a notification by email, and can choose to accept it. · The dashboard gives a high level overview of the ongoing/completed projects and tasks. I hope I have whetted your appetite for DO.com with this blog. The best feature of DO.com is its ability to integrate intimately with salesforce.com.